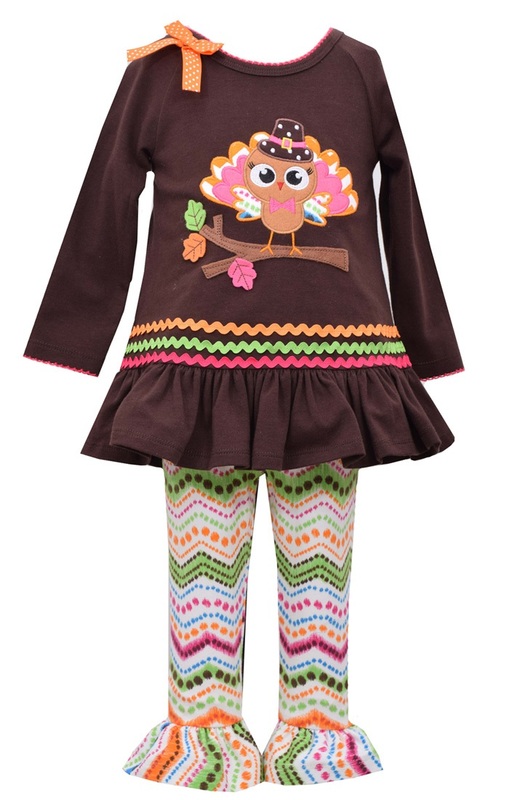 Adorable pilgrim appliqued turkey tunic and chevron knit ruffled legging set. Cotton and cotton spandex blend. Machine wash. Imported.